Supreme Court judges, Justice R. Banumathi and Justice Vineet Saran last week dissented on the issue of issuance of notice in an appeal filed before it against a judgment passed by the Uttarakhand High Court on 4 May. The impugned judgment had considered a batch of fifteen appeals, either filed by the Public Service Commission or against it, on the issue of appointments to be made to several posts. The issue in most of these Appeals largely concerned rejection of over-qualified candidates, with the Commission ruling that they did not fulfil the specific qualification criterion. One such appeal was filed by the Public Service Commission against Tanuja Mehta, who had applied for the post of Data Entry Operator with the Commission. The concerned Rule and the Advertisement provided that the candidate should have acquired a Certificate or a Diploma of, at least, a one year course. The petitioner had a Bachelor in Computer Applications degree, which is a higher qualification, and hence, she was ruled to be eligible for the post by a single Judge. This order was now challenged before the High Court, with the Commission asserting that the candidate would be deemed to be eligible for the post if he has passed a Certificate or Diploma course, the duration of which must not be less than one year. The minimum limit, it said, pertained to the period that would be spent in pursuing the course and not to the course as such. “In other words, a person, if he has completed only a Certificate course lasting for less than one year, he will not be treated as qualified. He may undergo a Certificate course or a Diploma course in Computer Applications, which is more than one year. In such a case, he would be deemed to be qualified. But the course must be one, which is a Certificate course or a Diploma course,” the High Court had explained. This judgment had now been challenged before the Supreme Court by the candidate, Tanuja Mehta. 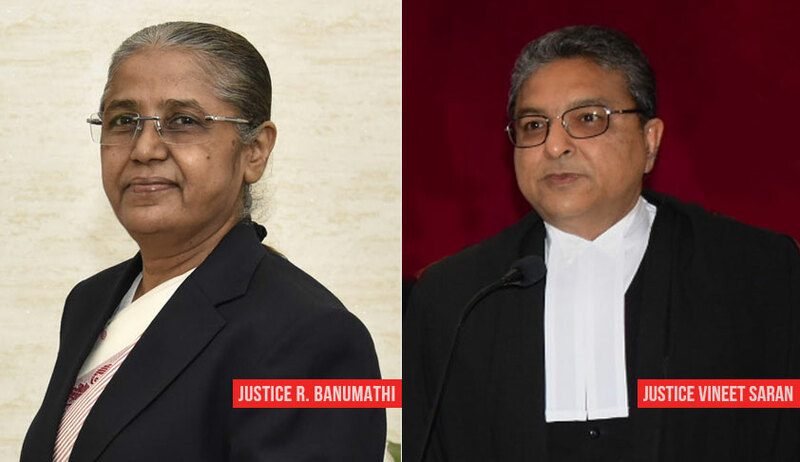 Considering the Appeal, the difference of opinion arose between the two judges, with Justice Banumathi not in the favour of issuing a notice as similar special leave petitions had been dismissed by the Court earlier this month. It may be noted here that these similar SLPs spoken of here had also challenged the same Uttarakhand High Court judgment, but concerned different departments and posts.